According to The Hollywood Reporter, Sony’s Columbia Pictures just acquired a spec script by Alfred Gough and Miles Millar (creators of Smallville, screenwriters of I am Number Four and The Mummy: Tomb of the Dragon Emperor) about one of science fiction’s most iconic figures: Captain Nemo. Originally penned by one of the pioneers of science fiction, Jules Vern, Captain Nemo first came to prominence in 1870 in 20,000 Leagues Under the Sea as daring, mad captain of the submarine, the Nautilus. He subsequently appeared in The Mysterious Island and Journey Through the Impossible. Michael De Luca, president of production at Columbia, apparently made a “pre-emptive” move in buying the script, according to THR. This is not so surprising given the source material has long been in the public domain and adaptations have pervaded since the early 1900’s – and that’s excluding the myriad of takes on other Verns stories. 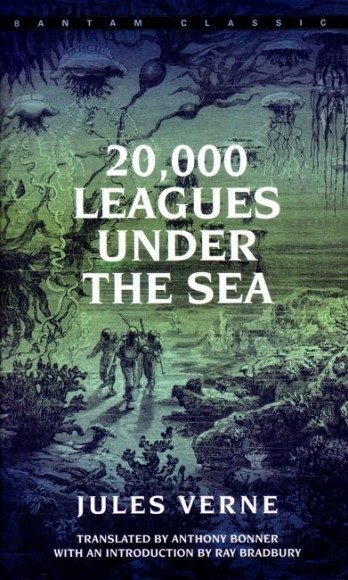 Disney Studios has been on-and-off development of a 20,000 Leagues Under the Sea film (they first produced a 1954 adaptation starring Kirk Douglas and James Mason), which David Fincher was attached to direct at one point. Producers Joe Roth (Alice in Wonderland, Oz the Great and Powerful) and Palak Patel (Snow White and the Huntsman) are attached. They recently found success with Maleficent (Patel was actually an executive producer), which has so far conjured $150 million at the domestic box-office, and are currently in the middle of post-production on Through the Looking Glass. De Luca’s “pre-emptive” move and the involvement of such prominent producers may suggest that Columbia will invest a huge effort in this project. Of course, we can only speculate at this point since Sony has not commented on the deal, but we’ll continue to follow the story as the project progresses.